Due to the mountainous topography of East Tennessee many homes are built with lower levels or basements. This is an easy and inexpensive way to gain extra square footage. 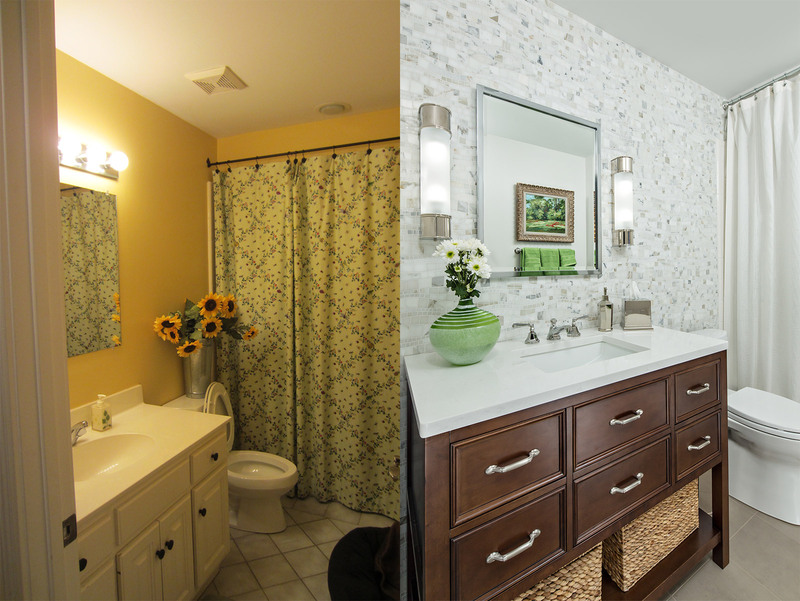 However, many people are guilty of treating this part of the home as an afterthought. People move into their homes and are eager to furnish and decorate the main floors and bedrooms, and frequently the lower-level becomes the area that time forgot. Many times it is regulated to become a mishmash of old furniture from previous homes (even furniture left over from their college dormitory days! ), storage boxes, exercise equipment that has seen better days, as well as areas for small children to have a “run of the place”. For some families this floor level is actually fine to remain unfinished storage since the main floors of their home provide them with plenty of living space. Or perhaps they do have a small kids and this is a great unfinished area for the kids to play without any worry about harming themselves or the surrounding furnishings. But for some there comes a point at which more space is needed, due to a growing family, or the space can simply be better utilized as the family changes and grows older. Such was the case of a family that called us wanting help to take their current overcrowded and underutilized outdated lower level and turn it into a multi-functional livable space full of great storage as well as style. When they moved into their home more than a decade ago, the lower-level basement area was just a place for extra storage. As they updated the main living space, the older furniture found its way downstairs. When their son was small the room was a playroom and the old furniture provided an adequate place for kids to play. But over the years the toys and exercise equipment expanded until eventually the entire space was much too crowded and had become dysfunctional. At our first meeting, the clients made their wish list perfectly clear: they wanted the space to be multi-functional for not only their son and his friends, but also for family gatherings as well as parties and entertaining. The space needed to provide a sitting area for six and a desk area for their son. In addition they wanted to keep their treadmill in the area and include the antique game table that currently occupied the space. They wanted to have some type of table for serving food and snacks as well as a bar for drinks and refrigeration. Our list of tasks was long. Even though the space was large we had to create at least six functional areas within it: Seating area and game area, a place for a treadmill, a wet bar with an eating area and last, but not least, a desk. The full bath on this level also needed to an update and better storage options. 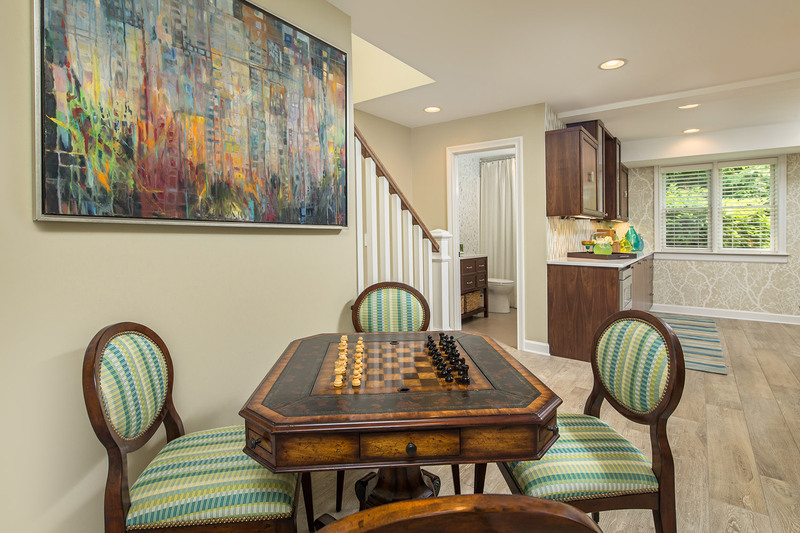 In addition to being multi-functional, our clients wanted a space that was beautiful as well as easy to maintain. They wanted a space that was both elegant in its visual appeal and yet comfortable enough to put your feet up and spend hours relaxing and entertaining. The carpet in the area had to go and the space needed to be brightened and lightened to feel contemporary and up-to-date. So we went back to our offices and got started with a plan. First a new layout was needed for the different functional areas requested by client. Different layouts were considered and we finalized a plan that made the most of the longest wall in the space. 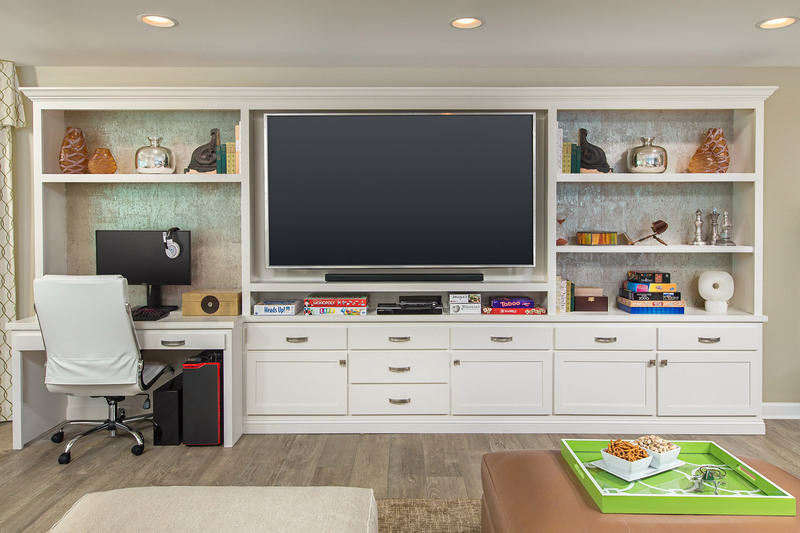 A large 80 inch television that our clients wanted was placed on the wall and the remaining wall space was utilized for much needed built-in storage. By incorporating the desk area at the end of this long wall it not only provided great storage for the desk but also helps to keep symmetry and balance for the built-in wall unit itself. Across from the television we placed the seating group for the best viewing angle and also to allow the back of the sectional to act as a visual divide between the entertainment space and the wet bar and dining area. We placed the wet bar along the wall which backed up to the bathroom to help make plumbing easier. Across from the bar the plan allowed for a round table and chairs. Our plan uses a counter height table and stools so that those seated at the table will be elevated above those sitting on the sectional providing everyone with a direct view of the TV screen. The final floor plan utilized the two far ends of the room, the bay area looking out into the garden, and the wall nearest the staircase, for the treadmill and game table area. For everyday use, the treadmill remains in the bay window, with a beautiful view to the garden as well as an excellent view of the TV screen. However, when having a party or family gatherings, the treadmill can fold up and be placed along the stair wall or in an adjoining closet, allowing the game table to take center stage in the bay window area. 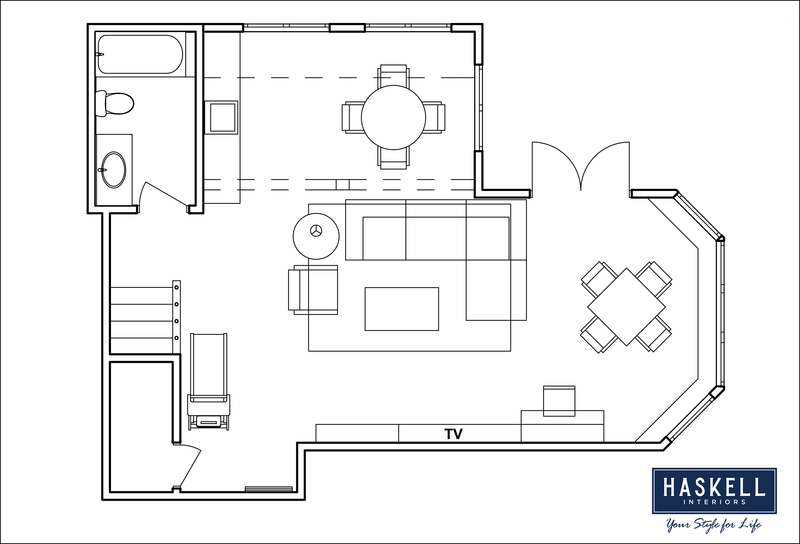 This floor plan will allow the homeowners to have the best in layout flexibility. With the floor plan approved, it was time to make selections for the materials and finishes to be used in the new space. A porcelain tile, with a look of antique wood, was selected for use throughout the entire space, not only to unify all the areas but to provide low maintenance and easy to clean flooring. Inspiration from the outside garden space led to the selection of a wallpaper from Thibaut to provide an accent in the wet bar and dining area. Its silhouette design of tree branches brings an element of the outdoor garden into the space. And since this area of the room has a lower ceiling height, the vertical branches help to lift up this corner of the room. We chose a wall color that complements the background of the wallpaper for continuity around the room as well as a warm white paint for all of the trim as well as the built-in storage unit we designed. In the previous design, the drapery at the bay window was hung below the soffit and interfered with the beautiful view of the yard and the sky. For the redesign, we chose a light and airy cream and green lattice pattern fabric and placed it up high against the ceiling to open up the glass window space and maximize the view. An added benefit is that by placing the drapery at the ceiling, we are visually increasing the height of the room. We knew the wet bar would be a focal point of the space and we wanted to treated as such. We chose a walnut wood for the custom cabinetry along with a beautiful rhomboid shaped glass backsplash from Oceanside Glass Tile to bring the pale blue and soft green of the outdoor garden from the sky and greenery into and to complement our space. For the adjoining bathroom we continued with the white paint and walnut wood of the main space and added a custom accent wall of Calacatta marble that not only provides visual interest but also serves as a practical backsplash for the vanity as well as the toilet. Its pattern reminded us of the mountains that surround our area. 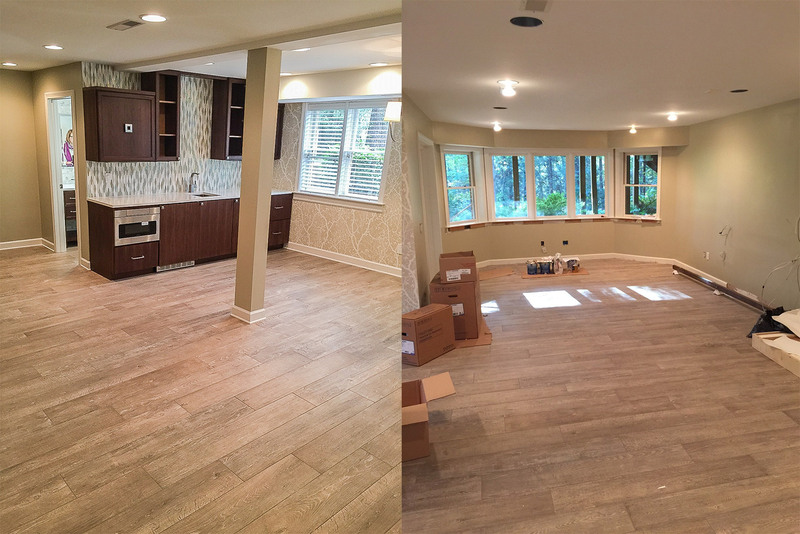 With our materials in the selections approved, our crew got started with demolition and transforming this once outdated space into a beautiful new room. After several weeks of hard work from our carpenters, painters, electrician, plumber and tile installer, we were finally ready to install the furnishings and get our family moved in. For most of our furnishings, we kept the palette neutral. 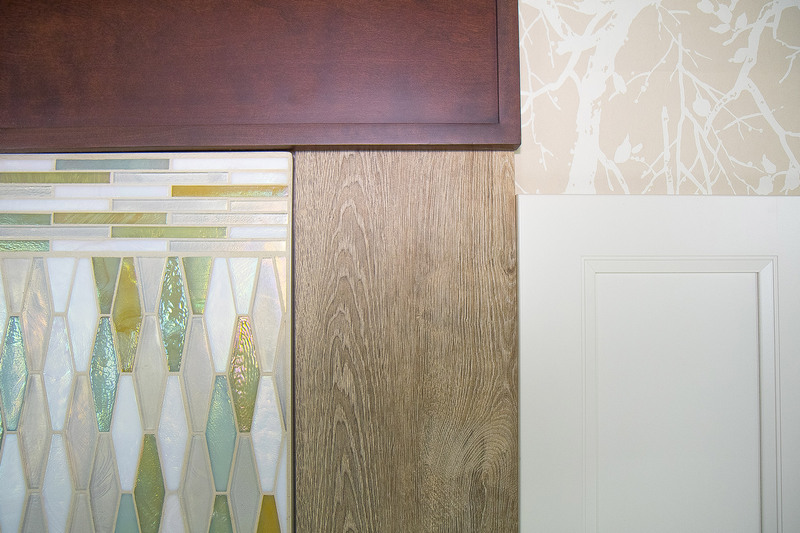 This was done purposely to allow the accents of the garden view as well as the focal points of our wallpaper and wet bar tile to really stand out. 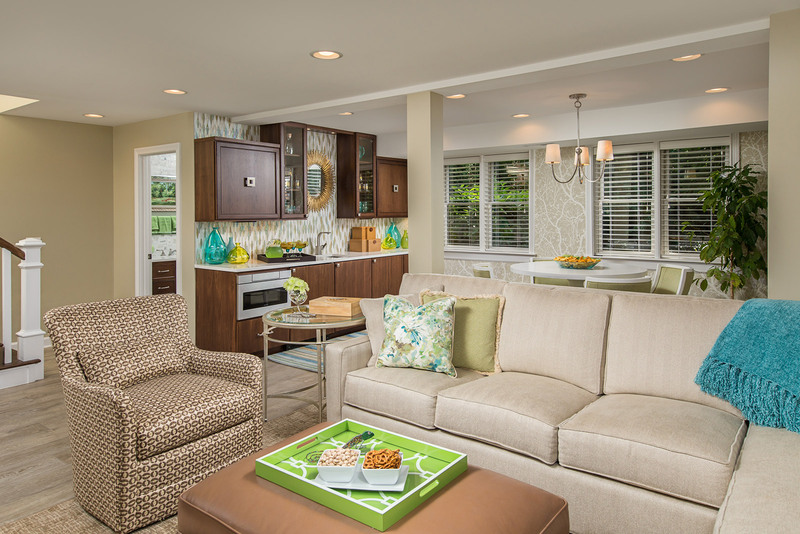 We chose fabrics that were durable and easy to clean. We allowed texture to play a key component by blending the smoothness of the vinyl ottoman against the twill of the sofa, the cut pattern of the rug and the raised geometric woven fabric of the swivel chair. 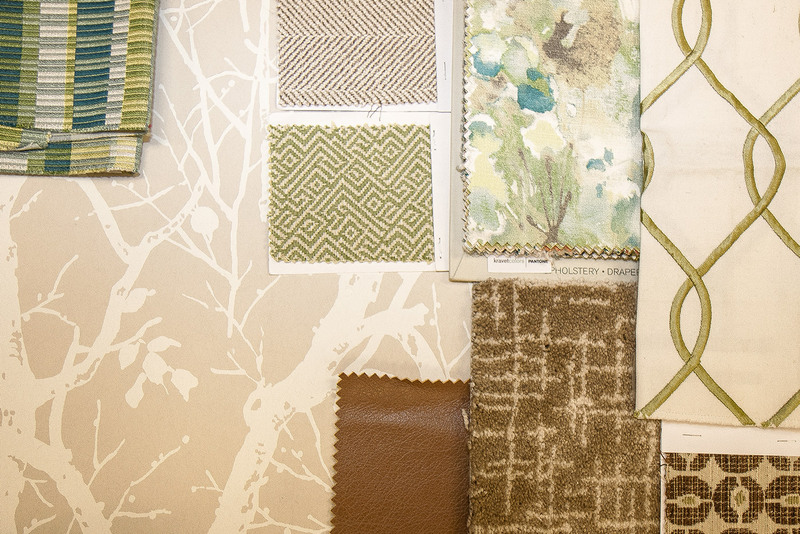 With texture, neutral colors do not have to be boring. For a bit of visual excitement we pulled the green and blue colors from the outdoors as well as our accent glass tile and placed it strategically and carefully around the room with some of the clients own accessories as well as custom accent pillows and a newly purchased piece of art. Our clients are thrilled with the results. They have now gained an entire new level to their home. Their son can do his homework at the desk, the family can sit back and relax enjoying movies on the big screen TV, and exercising now is a bit more enjoyable with views to the outdoors or the nearby screen. When friends come over, they now have an adult space that is both beautiful and functional with great storage all around and places for all types of activities and socializing. We started with an area where clients never wanted to use and turned it into an inviting and functional room that no one wants to leave.